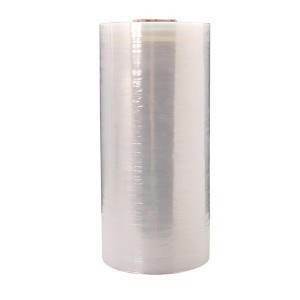 Our machine grade stretch film is engineered to work with a variety of stretch wrap machines and equipment. Stretch wrapping machines are able to provide tighter, more stable pallet loads. Machine wrapping will increase load retention while providing greater damage and puncture resistance during transit. We offer a variety of types and sizes of stretch films, including both blown stretch film and cast stretch film. Our machine-grade film, provided in 20 in and 30 in widths, can be used in automatic and semi-automatic pallet stretch film machines.